As I mentioned in my New Years Resolutions posts, I've been wanting a 3DS for a long time and I finally got one for Christmas! 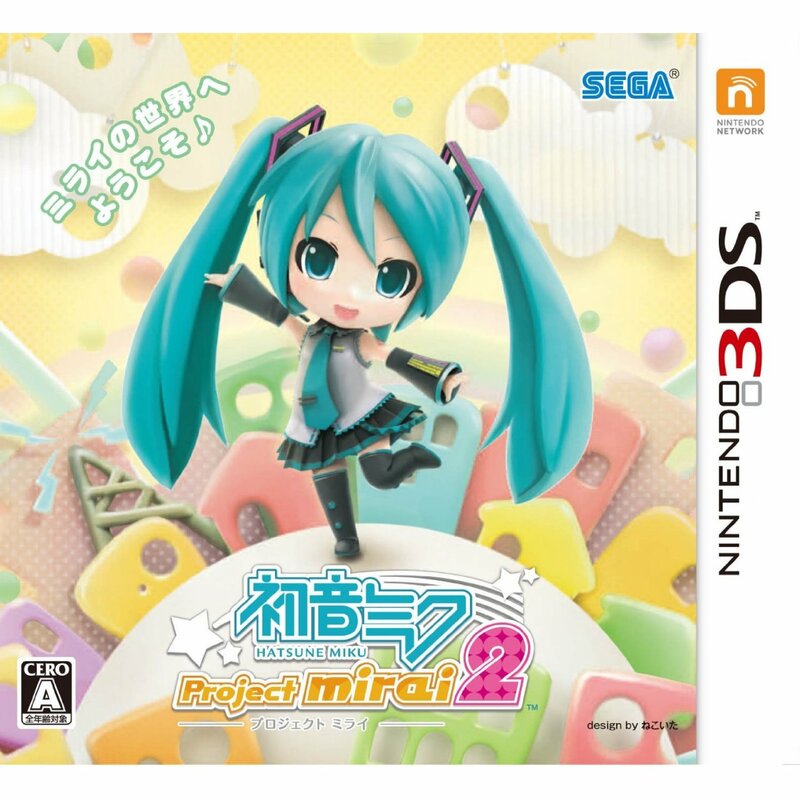 At the time of writing, I've only had my 3DS for about a week and I've been playing Hatsune Miku: Project Mirai 2 on it (I chose to play a less involved game because I'm still trying to finish Persona 3 on PS3. I can't do more than one new JRPG at a time!). I already very much enjoy the console, but it is definitely different to my PS Vita, which I've had for almost 3 years now. The beginning of my journey into two screens, 3D and Nintendo games has begun and so far, it's a cool, new experience. The biggest difference between the 3DS and my other portable devices is the addition of 3D. 3D can either sound totally cool or just gimmicky, depending on the person. Every 3DS owner I know says that they rarely use the feature. I think the 3D functionality is very cool idea for many moments - I can imagine it being very cool in a JRPG dungeon situation, with the depth of field showing my characters and the enemies in their appropriate sides of the battle field. During the first time opening any game, it's cool to look at the opening clip in beautiful 3D and I haven't seen anything like it in my console experience, which makes it even more magical. However, in some ways, the 3D function be a little distracting sometimes. If I happen to look away from my screen at all, the illusion of the 3D world is briefly broken and my eyes see double for a second. Also, maybe at least for my eyes, it's impossible to play for more than five minutes on the full setting. At the moment I'm using a the setting a little above the halfway point, but anything above that makes me feel like I need glasses. Luckily, the 3D level slider can fix all of these problems, whether it's turning down the 3D or just turning it off (which I've only done a couple of times when I've been particularly tired). I'm sure everyone has their own preferred level of 3D, so as long as I stick to my regular setting, hopefully it'll be okay. I still like the feature overall so far and I'm looking forward to testing it with many more games to see how it's used. Another unique feature of the 3DS is the two screens, another thing new feature I'm getting used to. Unlike the 3D feature, having two screens has been very easy to adapt to and kind of convenient. In the case of the Hatsune Miku game I've been playing, the top screen is used to display the colour-coded notes and the bottom has where I need to tap, sorted by large coloured circles, making the game much easier than if I was trying to tap the small notes with my finger. In the setup and menus, it was used to keep extra information I may need or as additional space for text. All these things are smaller features, but they make a big difference. In the Hatsune Miku game, the buttons can be kept small which helps show off the fun music video in the background. I'm sure having two screens will create a new dynamic when playing JRPGs with extra commands and menus easily available on the bottom screen. Battery life on the 3DS has been my only concern so far. While the battery life seems to be similar to my Vita's, when I close the 3DS during a game, it tends to die within a day or so without any use. Maybe it's because I'm used to locking my Vita's screen and coming back within 5 days without much issue, but the 3DS seems to run enough battery while it's sleeping to warrant charging it more than I'd like to. I don't mind turning it off when I'm not using it, but changing from the convenience I'm used to with my Vita's battery has been a noticeable change so far. On a lighter note, I'm still intrigued by the 3DS's game library. It's experiences are more cartoony fun than what I'm used to, which I welcome, as games like Stella Glow and Persona Q are cute games that also boast deep looking gameplay. Plus, known Nintendo franchises like Pokemon, Yokai Watch and Super Smash Bro are experiences I've been missing, so I'm excited to try these. Playing Hatsune Miku: Project Mirai 2 has been a fun and cute game filled with dancing chibi characters and a new way to play the Hatsune Miku games that I already love. Speaking of games, you may have noticed in the title that I have the Nintendo 3DS LL, which is the Japanese version of the XL console. I had to make the decision between buying the US, European or Japanese version of the console because of Nintendos region locking and in the end, I decided most of the games I wanted to play were in the Japanese region, because they're JRPGs. I bought my 3DS with the knowledge that I couldn't play English games on the system, but it's worth mentioning for anyone else choosing which 3DS to buy. Also worth noting is even in the menus, there is no way to set the console to English, so if you do purchase the Japanese one, it is 100% in Japanese unlike other consoles where you can change the menu language (note: it is manageable enough to setup if you don't have any Japanese knowledge with dictionaries and translating apps). The Nintendo 3DS LL is a very different console to what I'm used to, but it's certainly a unique console experience. I'm keen to use the second screen more and I'm hoping the magic of the 3D option doesn't wear off in a few months like it did for many of my friends. Downsides like the quickly draining battery life aren't ideal, but considering the amount of devices that die on me on a daily basis, it's probably just a difference to my PS Vita that I will have to get used to. All in all, I'm excited to continue playing the 3DS's library and hope to have a lot of 3D filled fun with it for years to come. 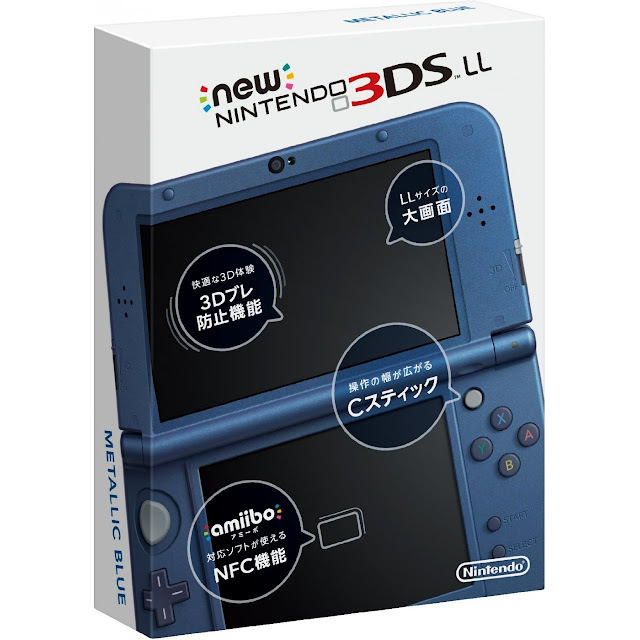 You can pick up a Nintendo 3DS XL or LL from Play-Asia.com! 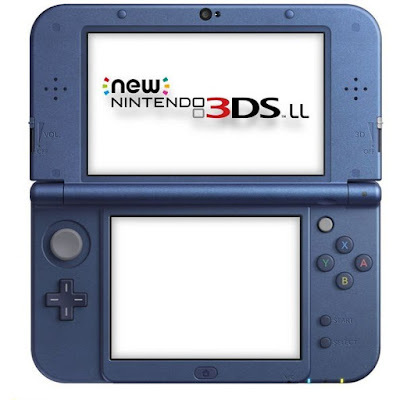 What do you think of the 3DS? Do you have any 3DS game recommendations?